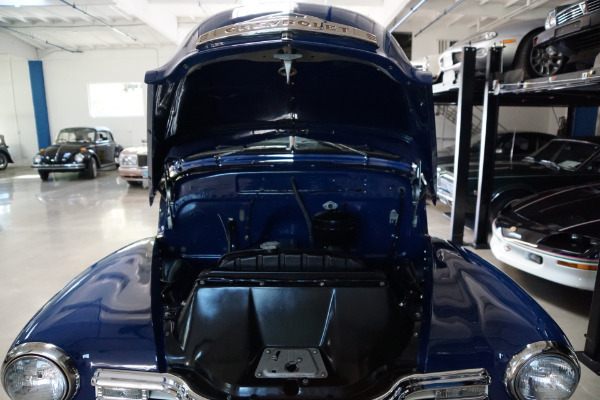 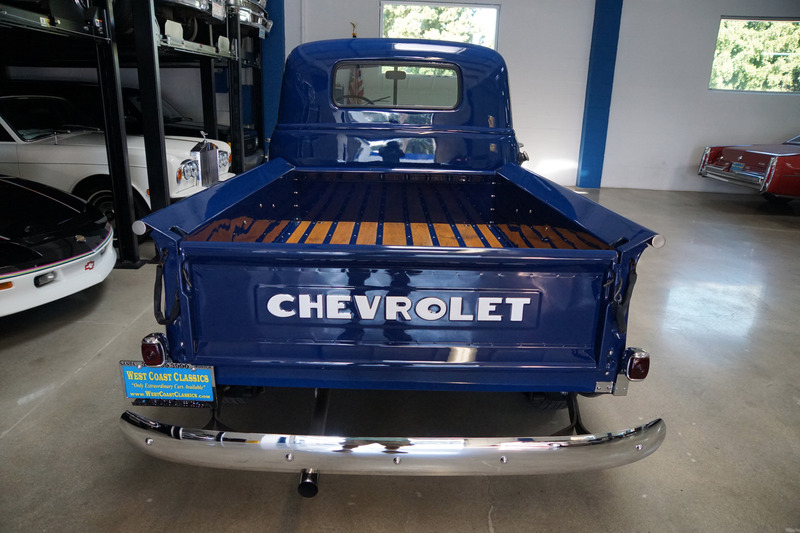 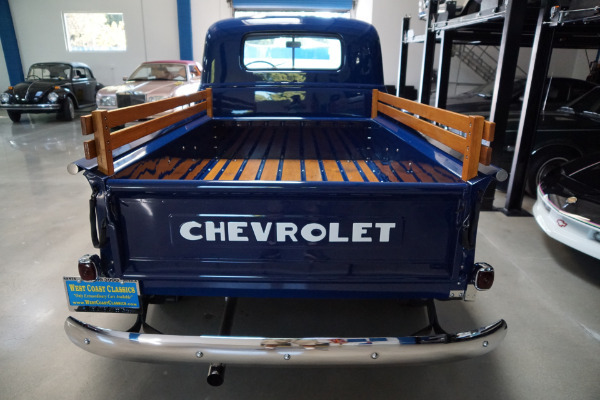 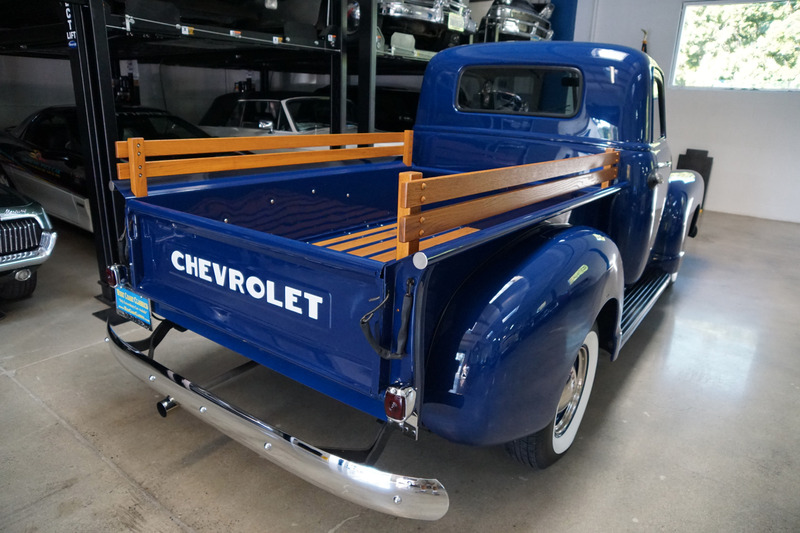 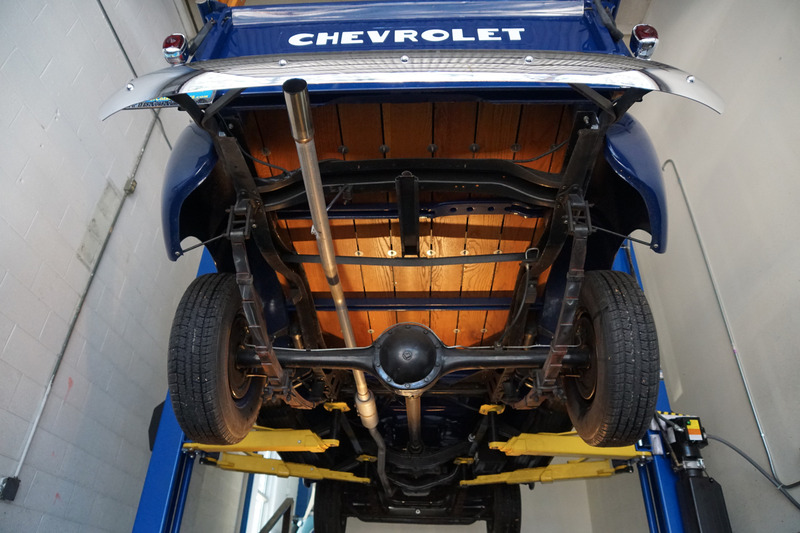 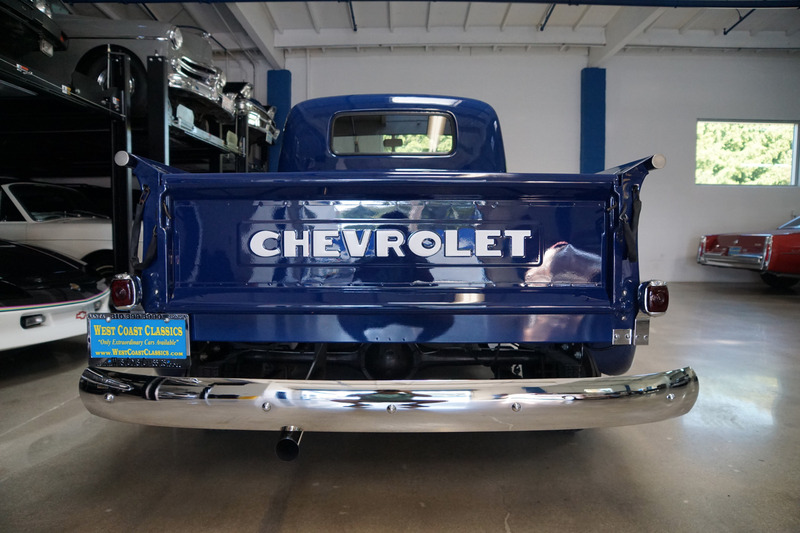 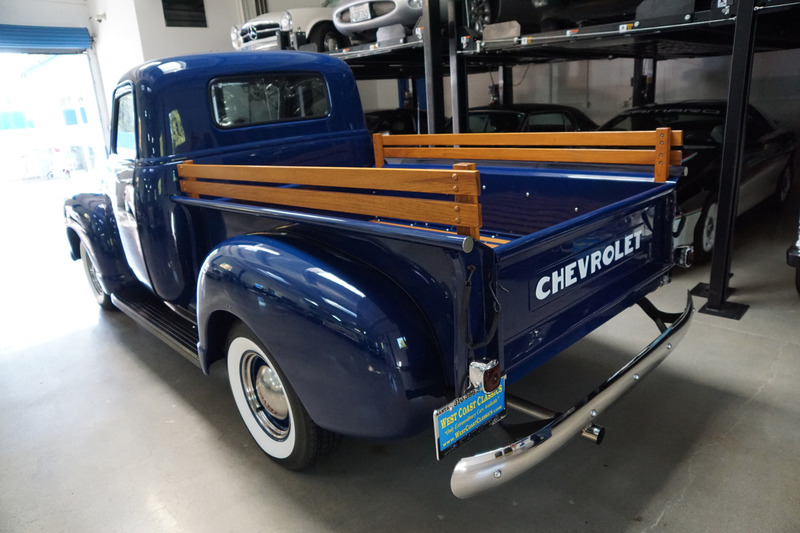 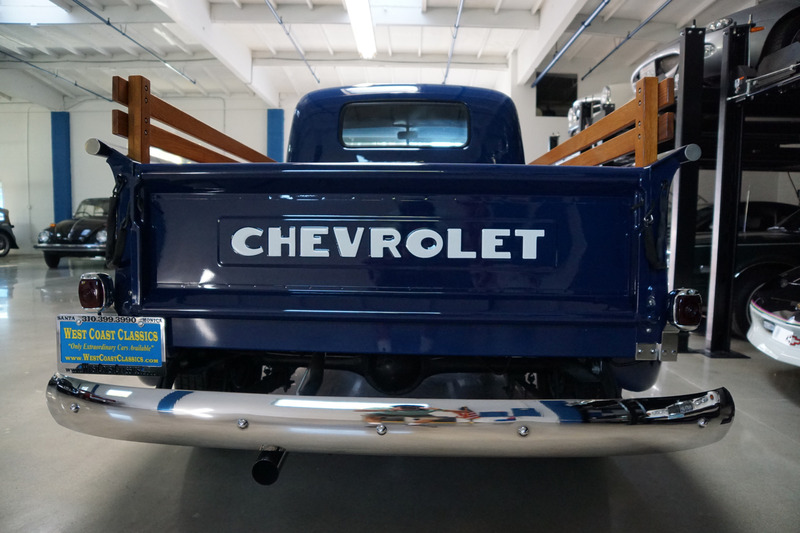 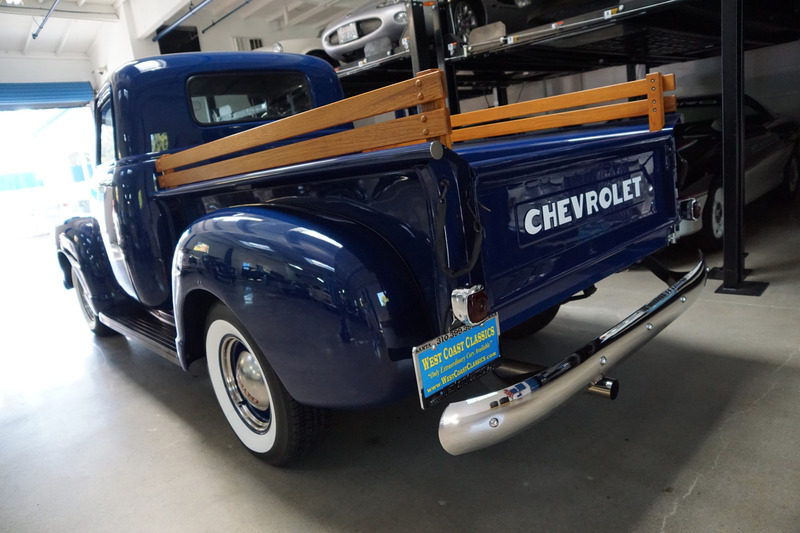 West Coast Classics are proud to present an exceptionally straight and rust free and frame off restored example of this 1949 Chevrolet 3100 Series 1/2 ton Stepside Short Bed Pick Up Truck with a rebuilt 235 c.i. straight 6 cylinder engine which is very powerful for this truck and its original 3 on the tree manual column shift transmission. 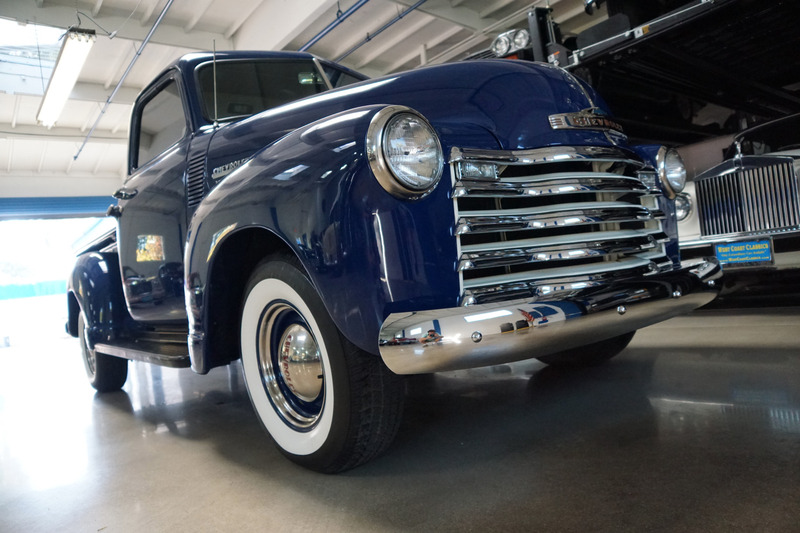 The truck is a beautiful example of a completely rust free and a beautiful, only few years old with very few miles, frame off restoration! 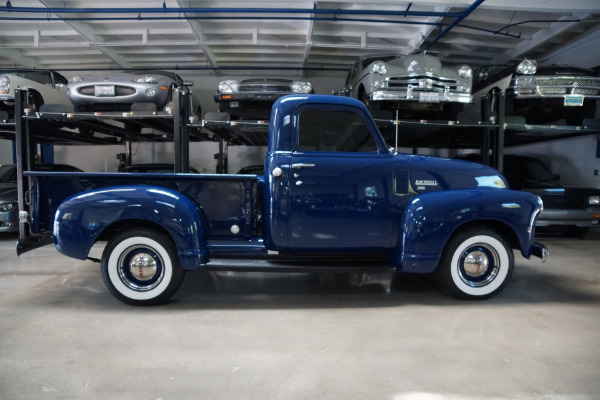 This truck is a true survivor and a super striking daily driver or promotional truck! 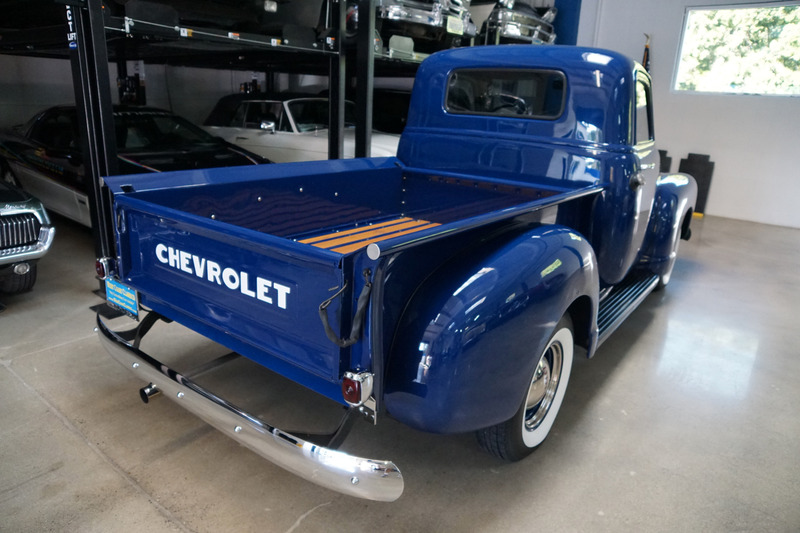 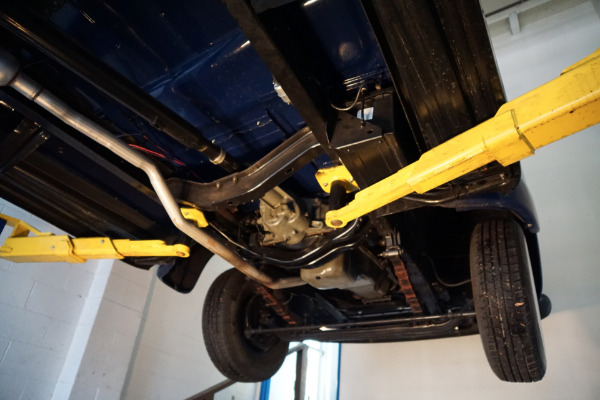 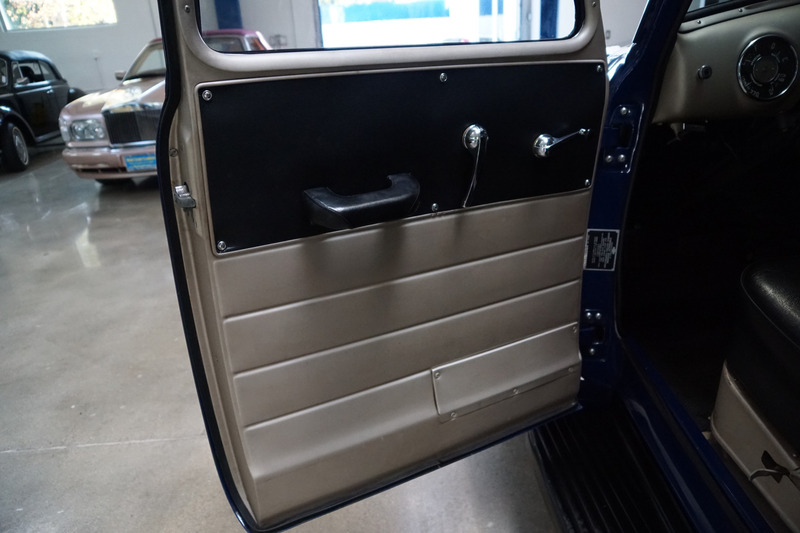 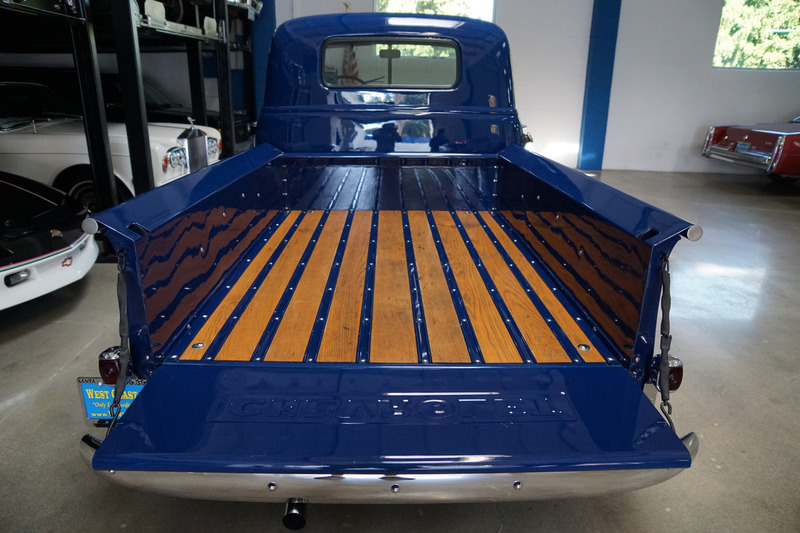 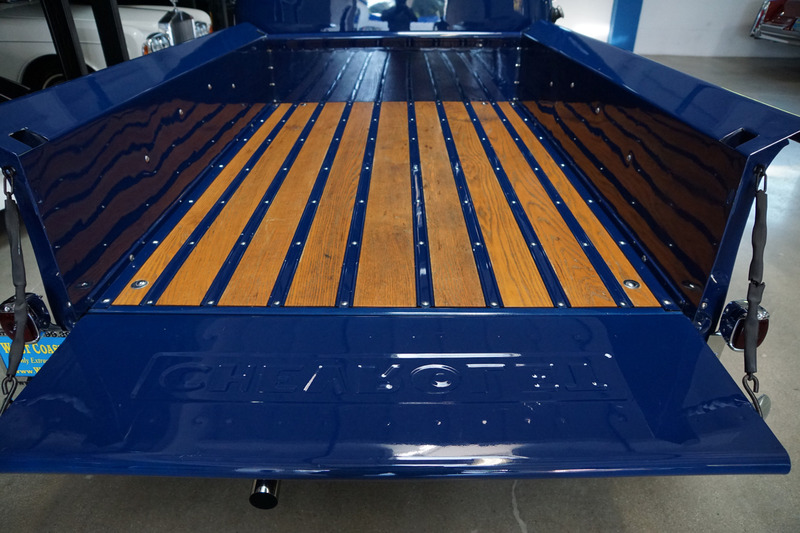 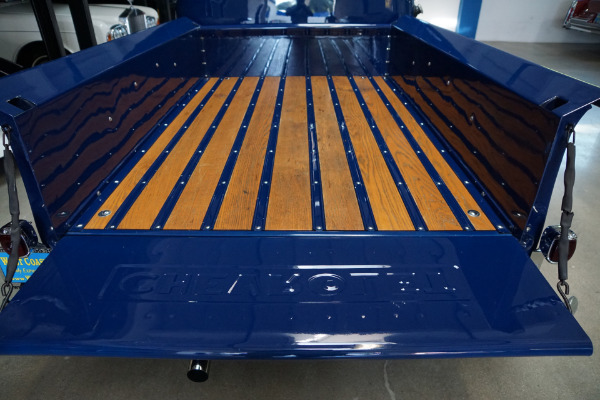 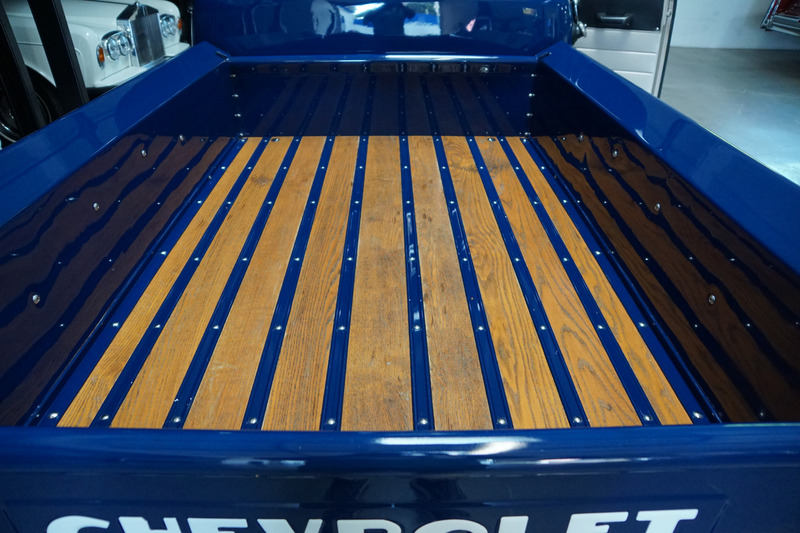 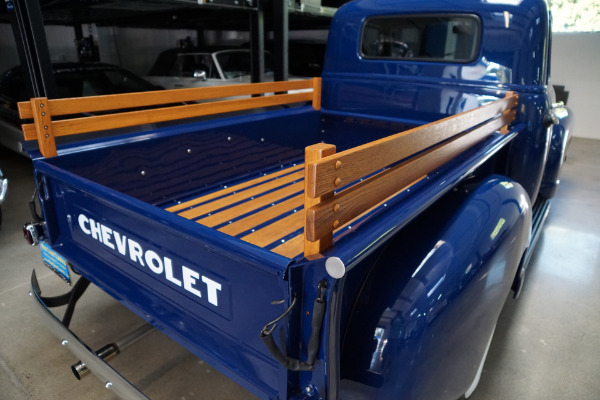 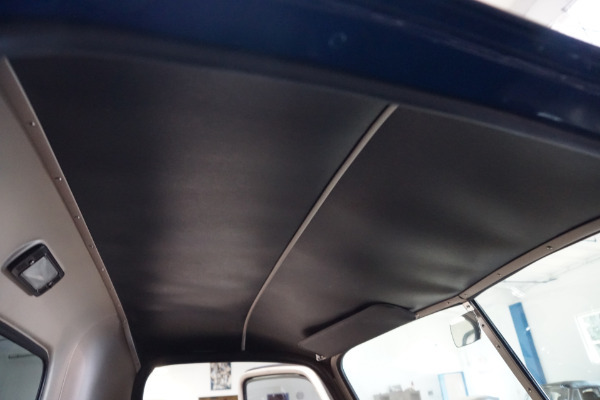 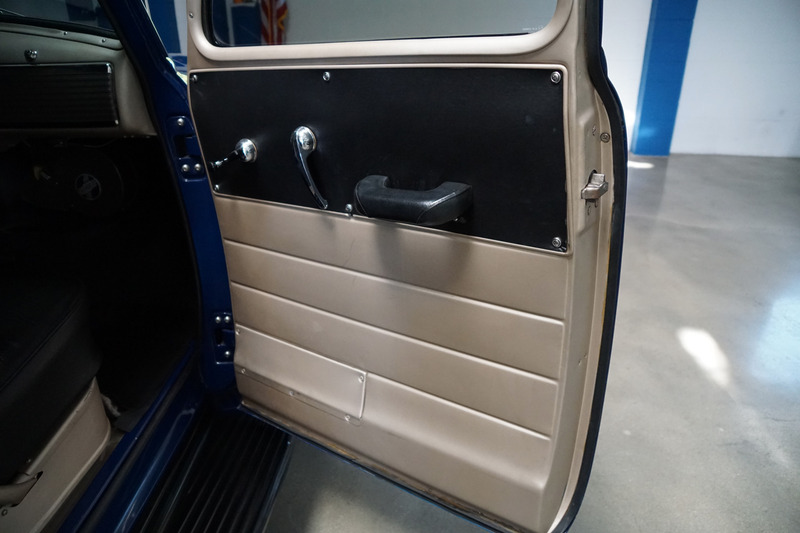 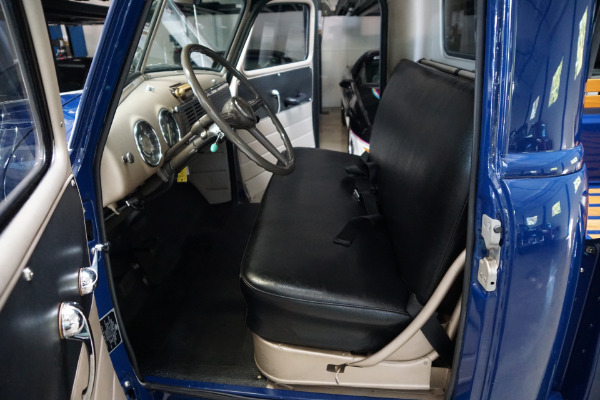 The truck had recently come out of storage and is simply stunning and beautifully presented in 'Cobalt Blue' paint with a 'Black & Light Gray' interior! 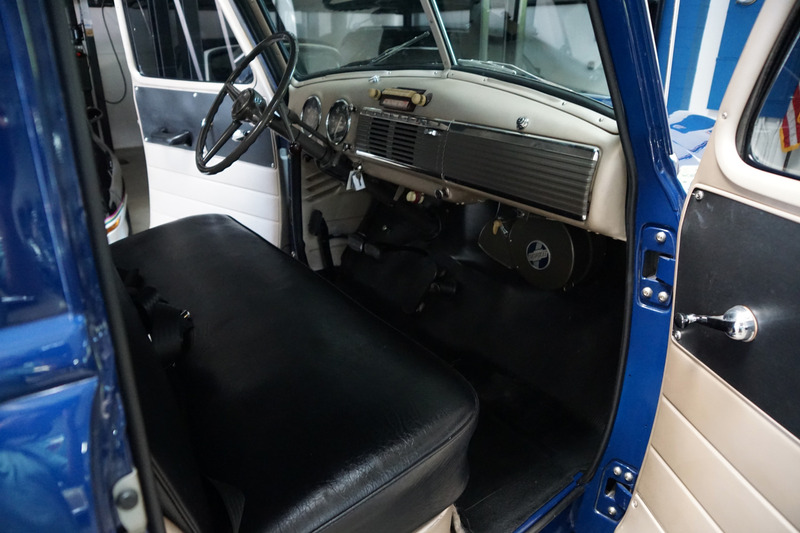 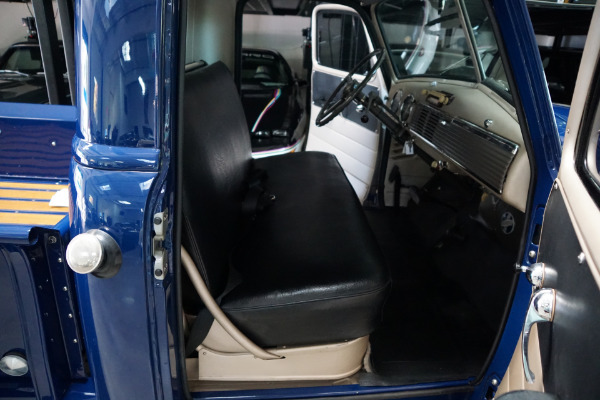 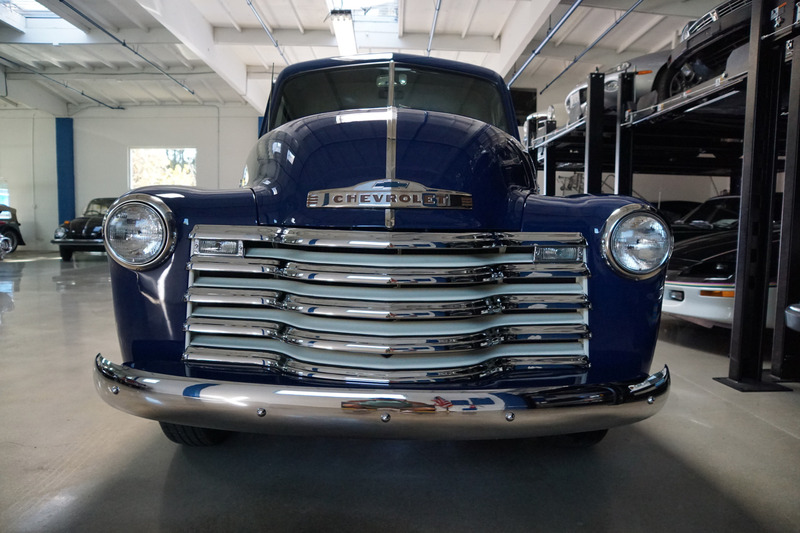 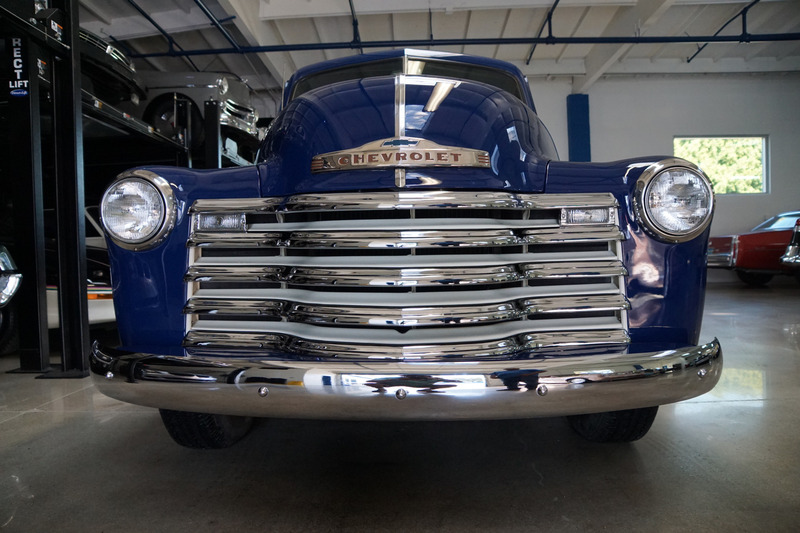 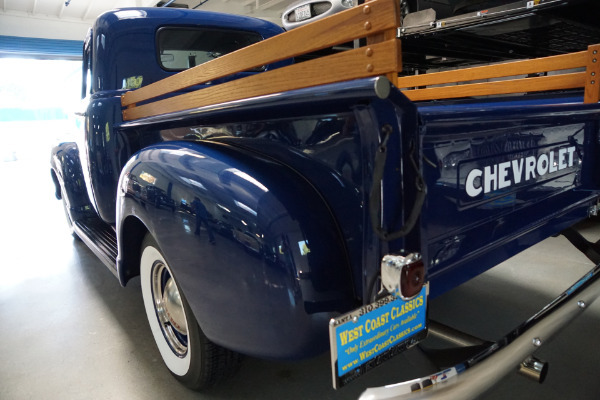 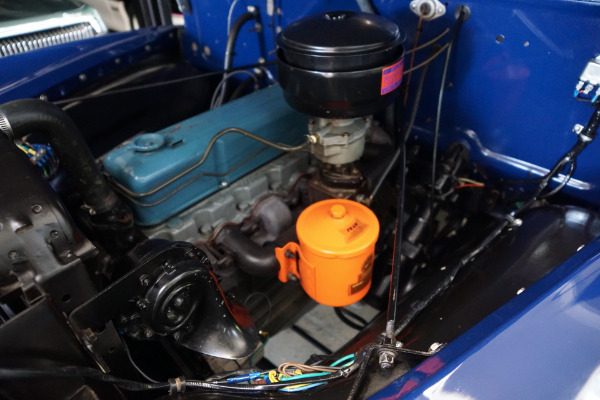 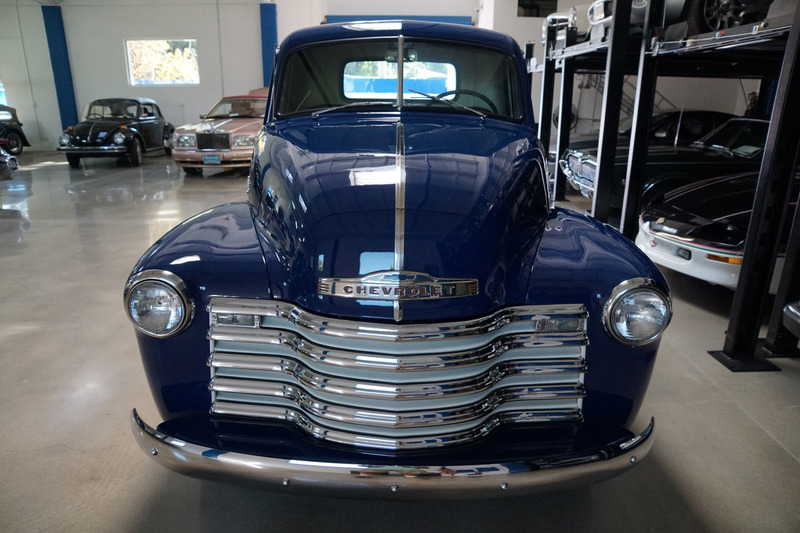 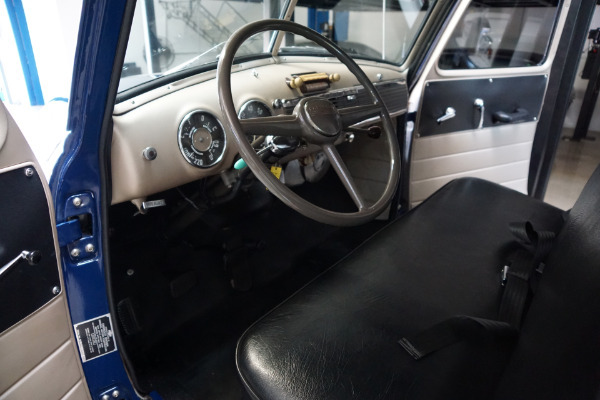 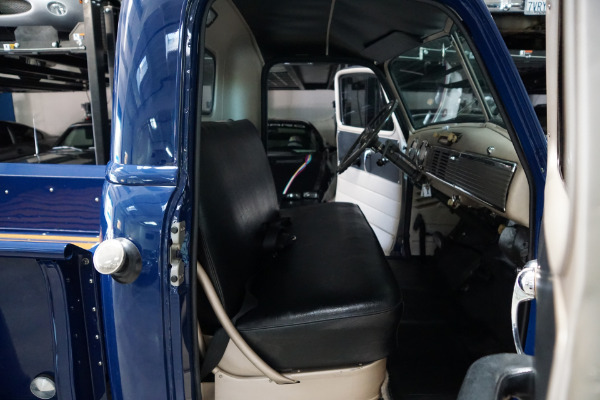 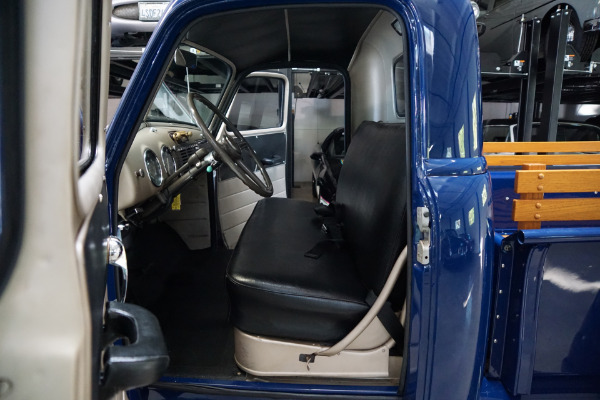 This great daily driving 1949 Chervolet 3100 series Stepside Pick Up is a turn key ready daily driver for any classic truck enthusiast. 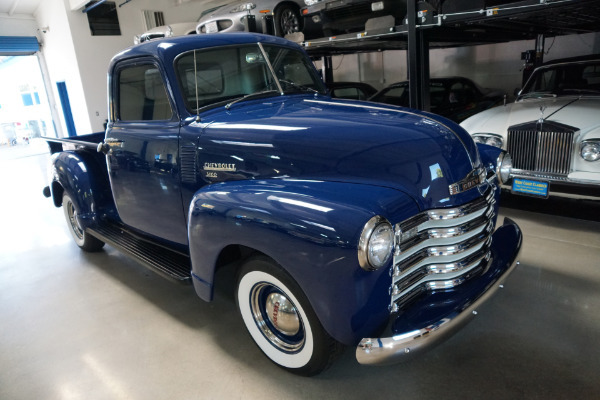 The 1/2 ton Chevrolet/GMC pick up was renamed the 3100 in the 1940's and they were outselling the Ford's with a 33.8% market share in 1949 compared to Ford's 21.6%. 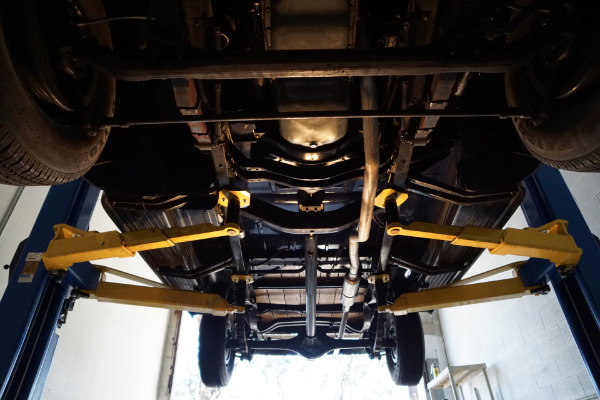 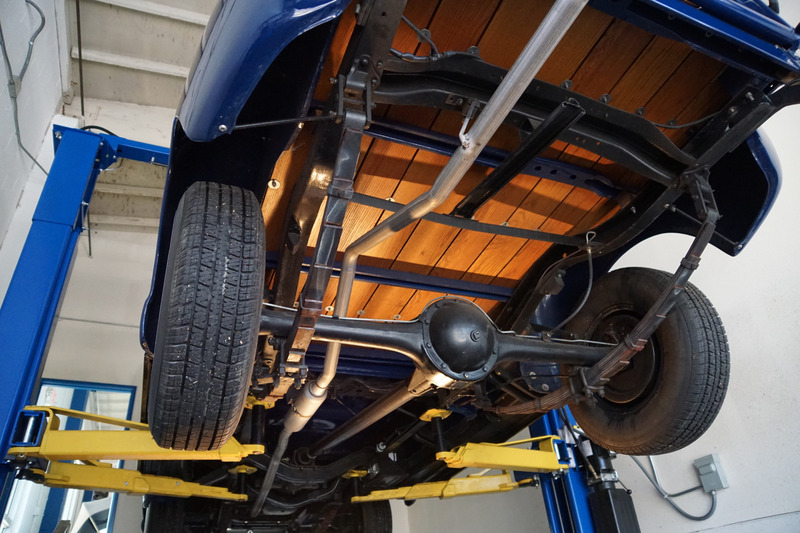 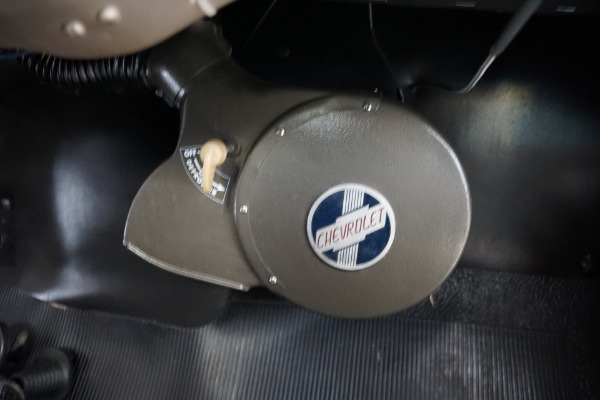 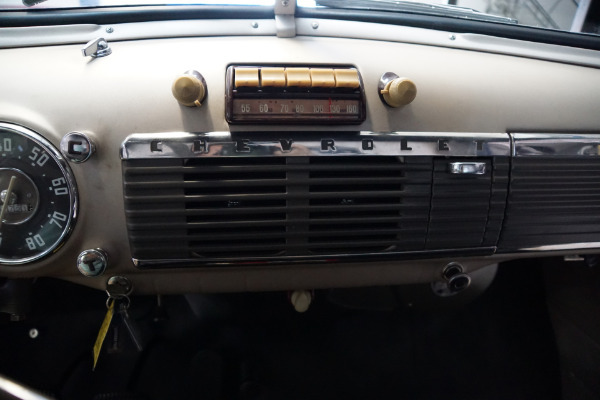 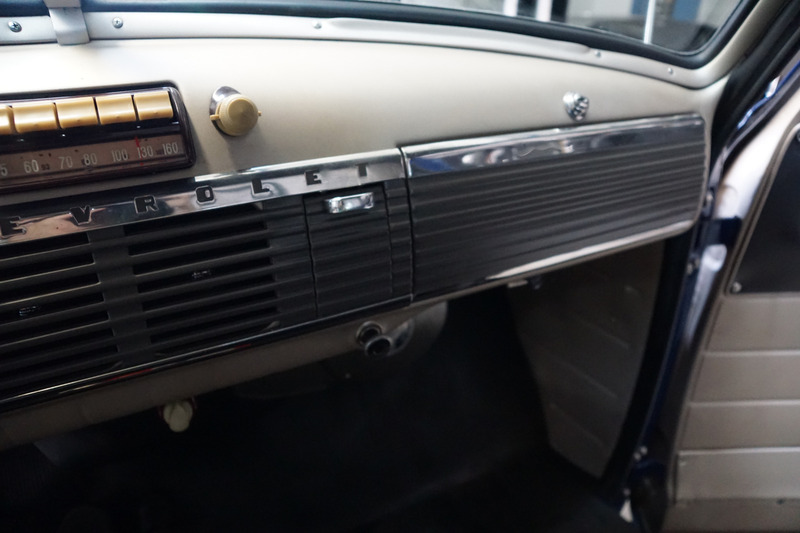 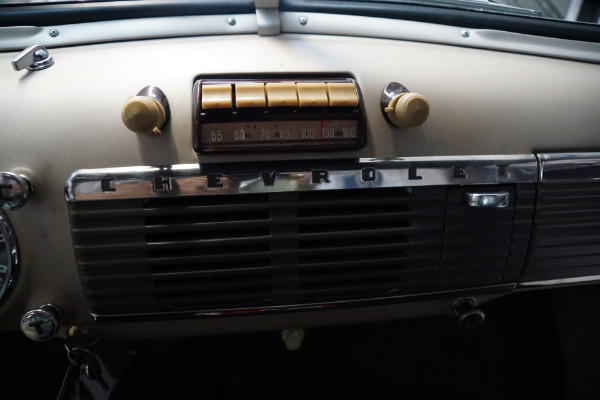 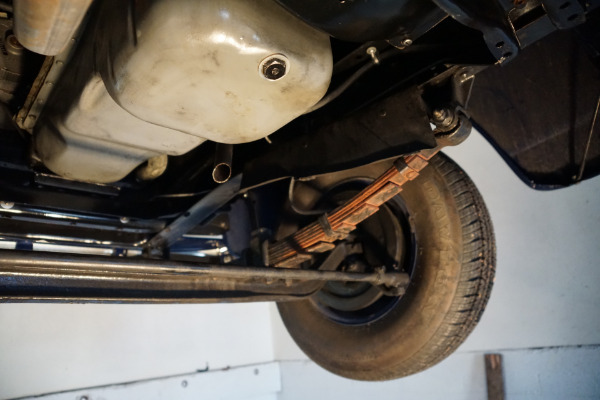 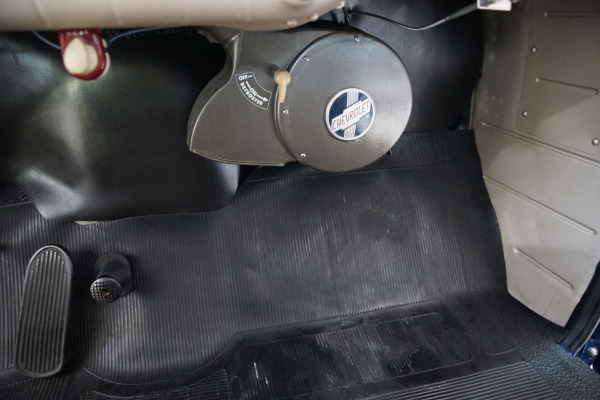 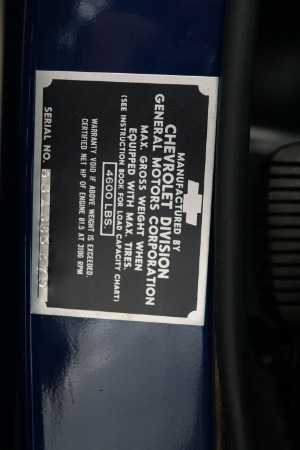 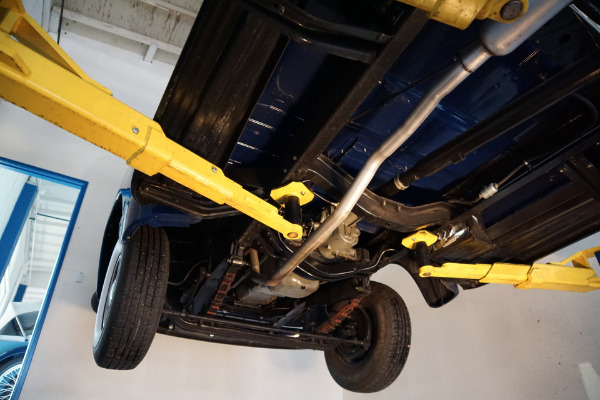 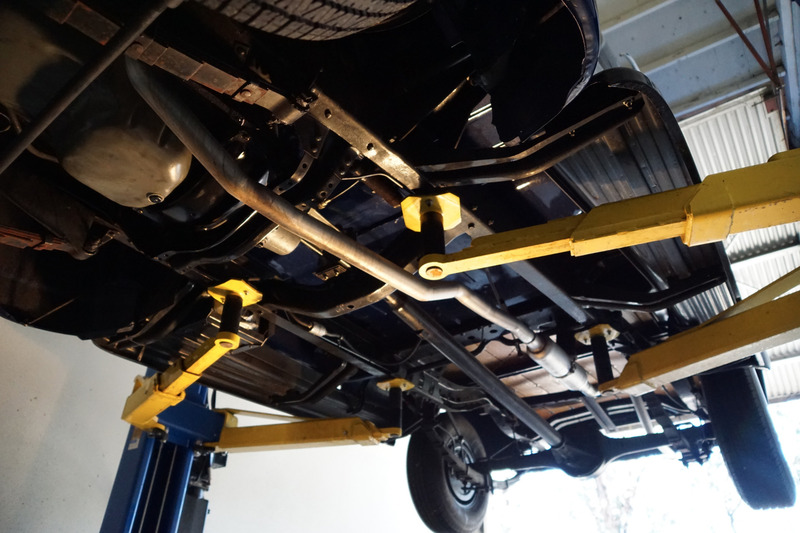 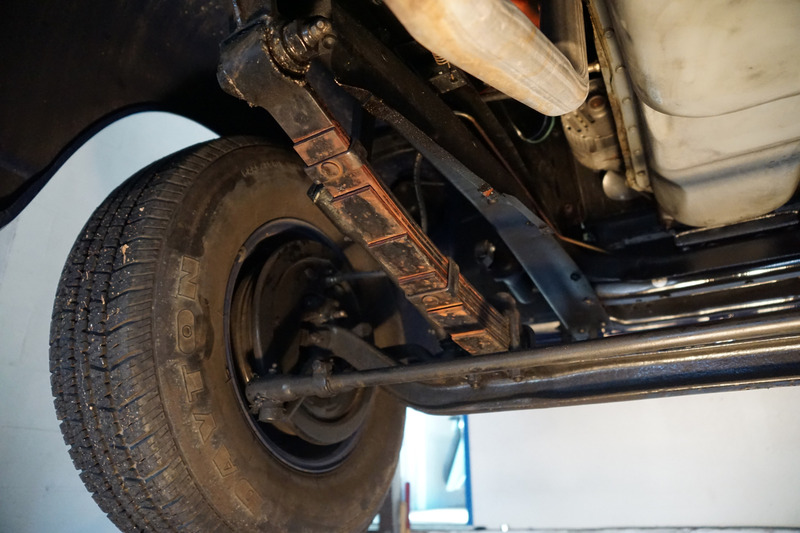 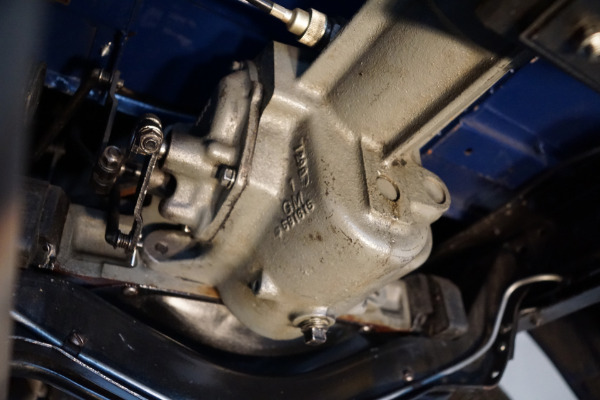 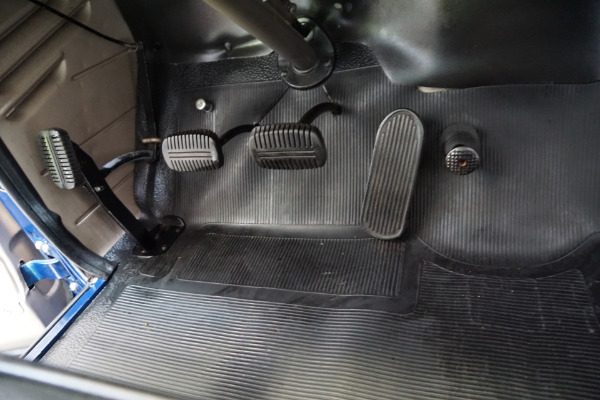 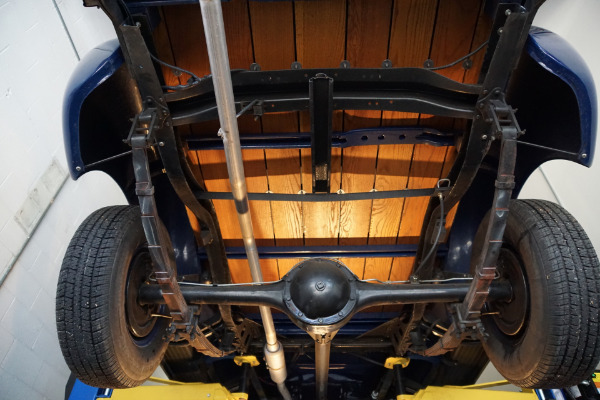 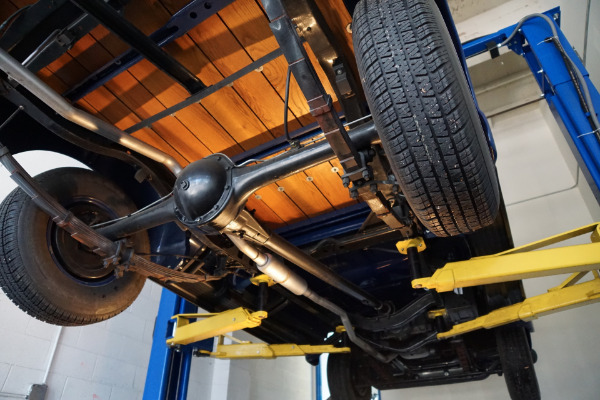 But Chevy couldn't afford to be complacent and by 1950 there were several welcome improvements such as double acting all around shock absorbers and a circuit-braking lighting system. 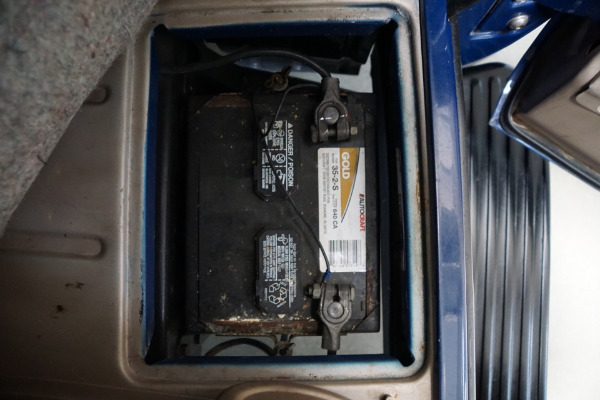 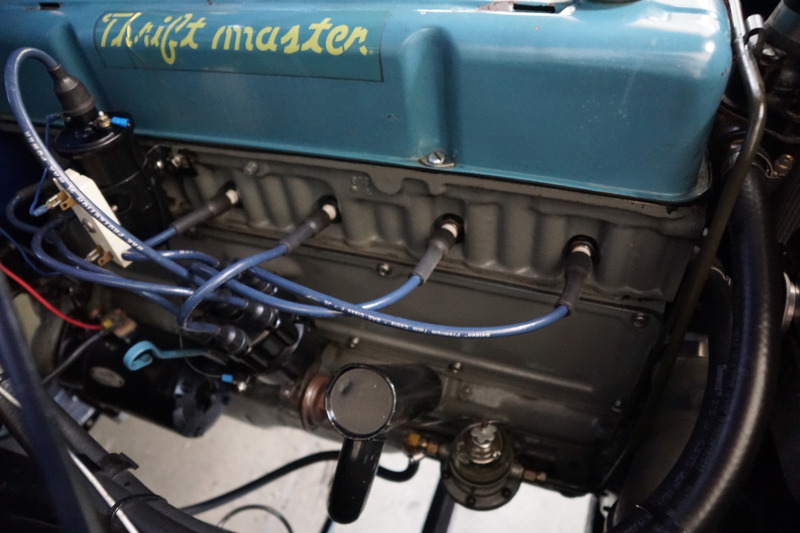 The Thriftmaster six offered slightly more power due to a Rochester power jet down draft carburetor, larger valves and a straight through muffler. 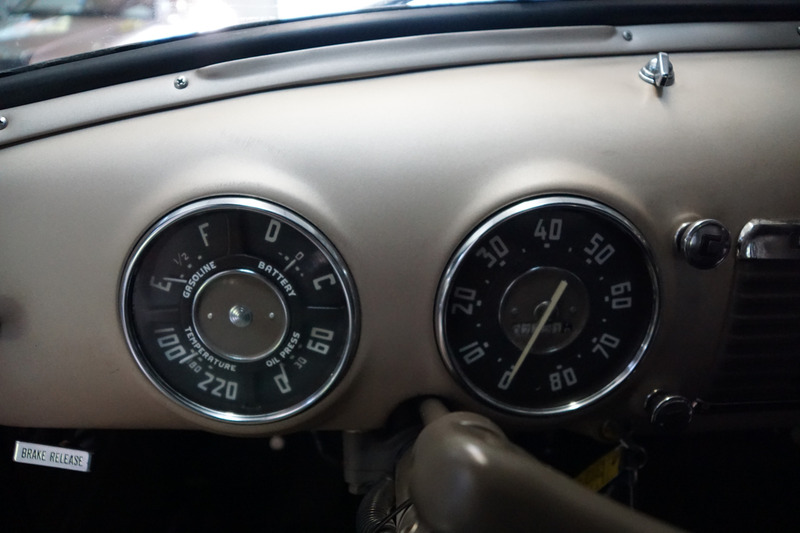 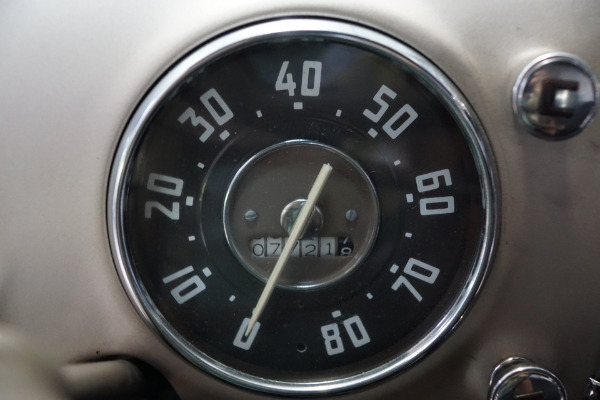 In the year 1955 the Thriftmaster engine was increased to 235 c.i. (3851cc) with an increase in both bore and stroke. GMC as a marque produced a straight six and later a V8. 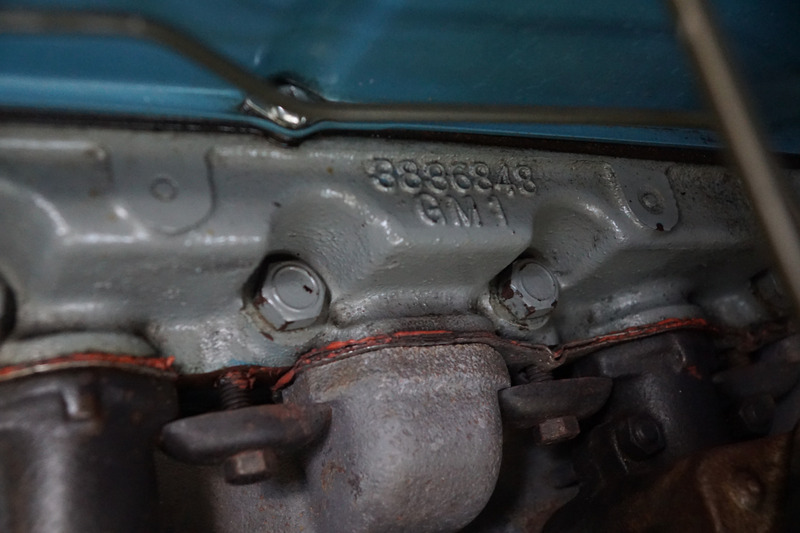 The last GMC straight six engine was the 270 c.i. 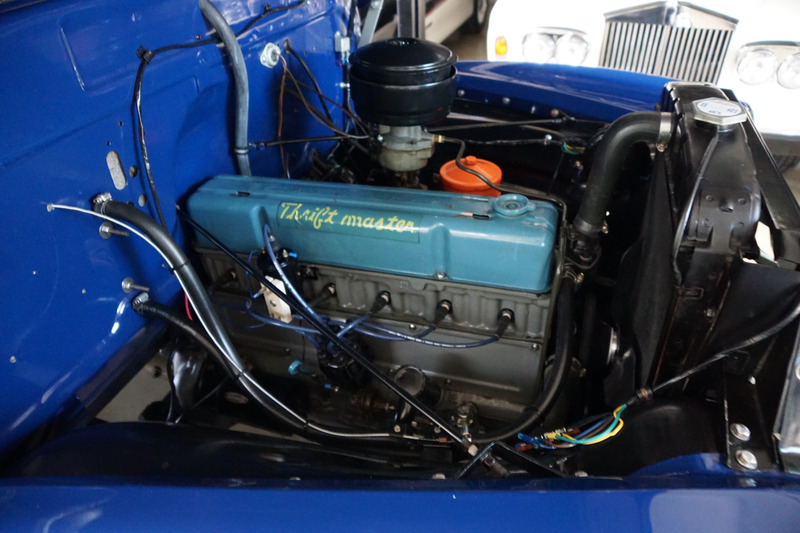 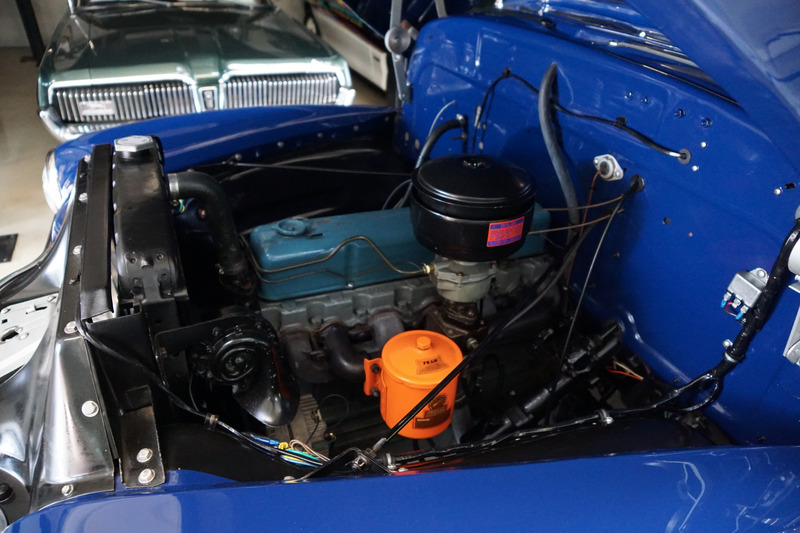 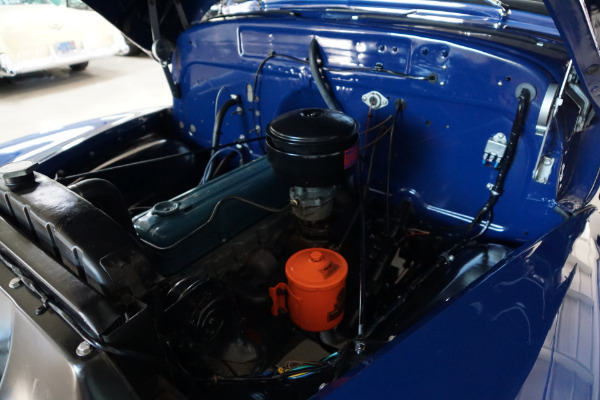 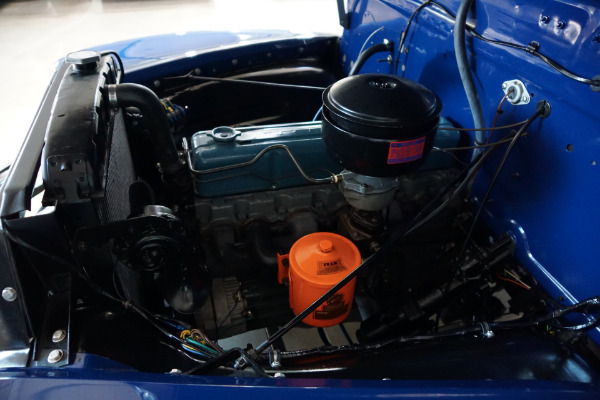 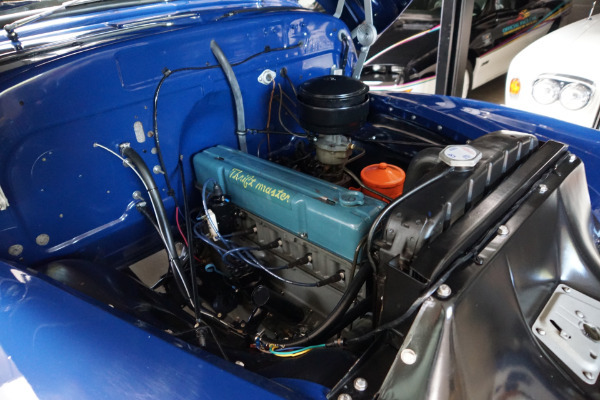 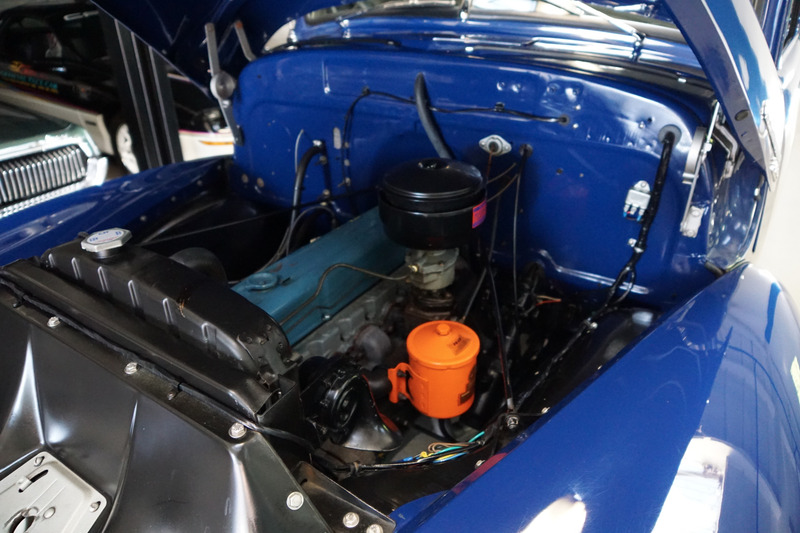 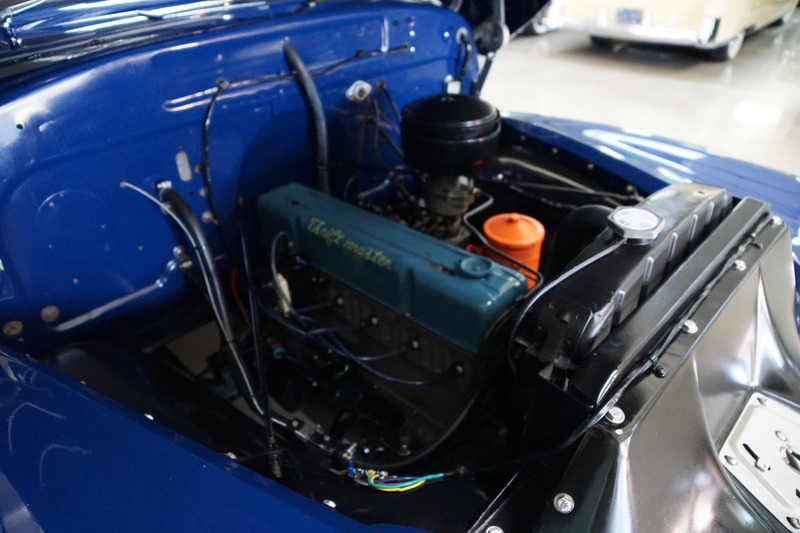 4.4L and it was a raised-deck engine produced from 1940 through 1962 and was an OHV/pushrod engine. In 1958 these trucks became known as the Full size C Series for Chevrolet and the 100 Series for GMC. 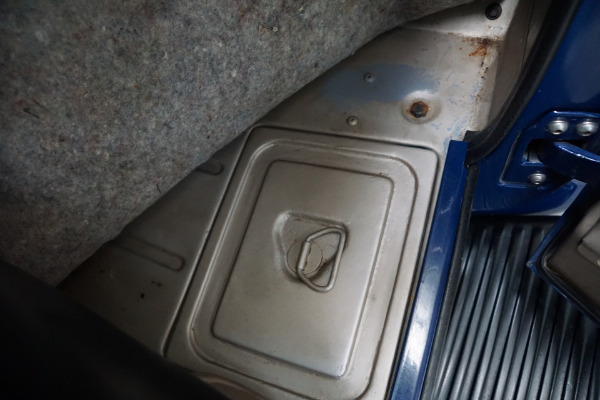 This particular truck boasts a later model's 235 c.i. 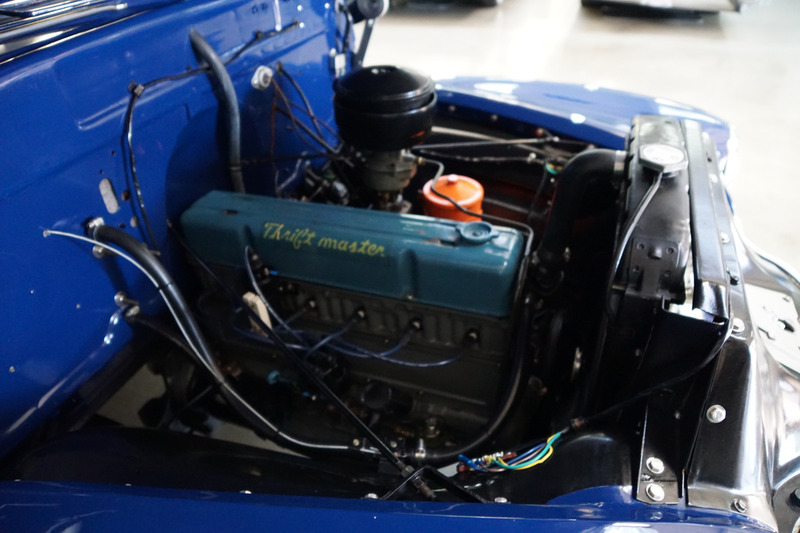 'Thriftmaster' engine which runs strong and sounds absolutely magnificent and the truck drives really well - must be driven to be appreciated - drives straight as an arrow with no strange road wobbles, shakes or rattles - a truly remarkable daily driver! 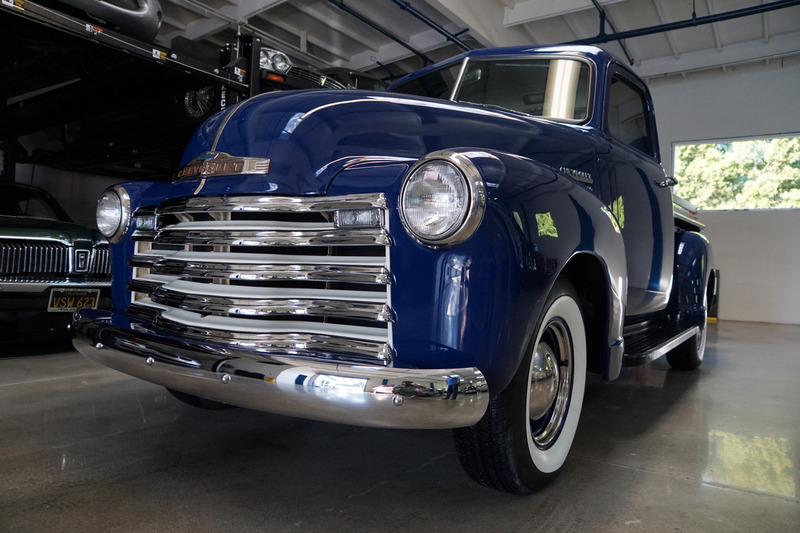 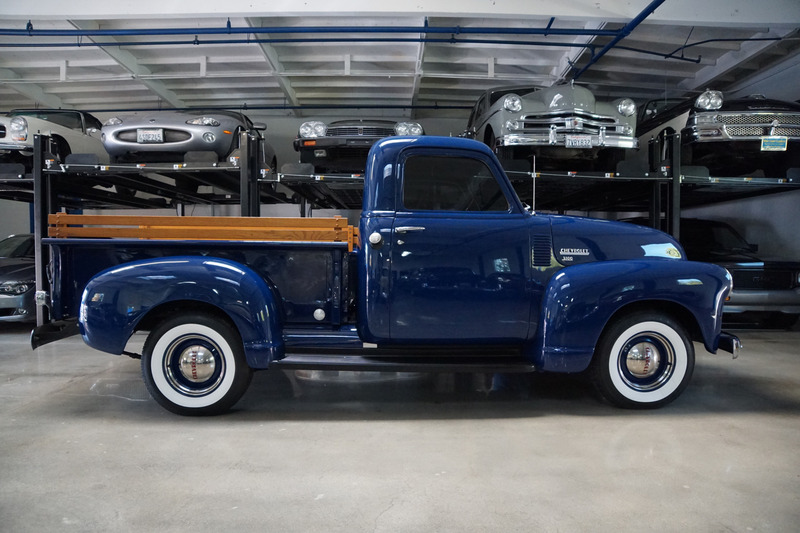 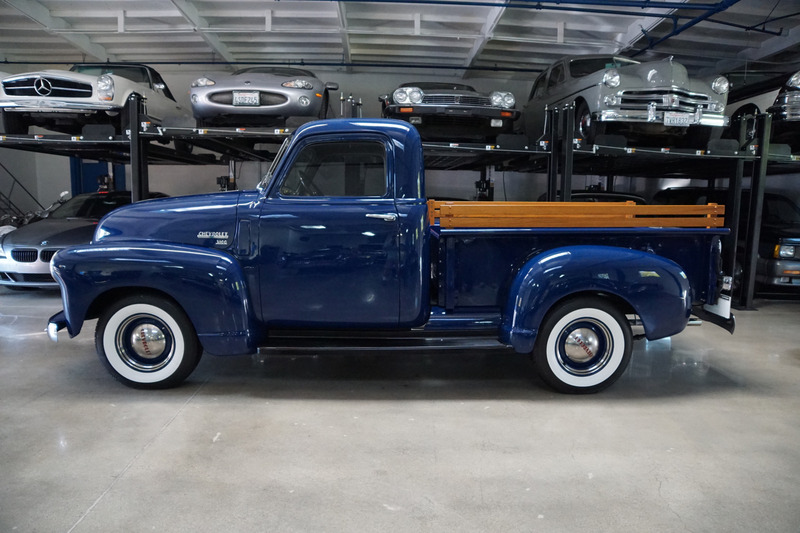 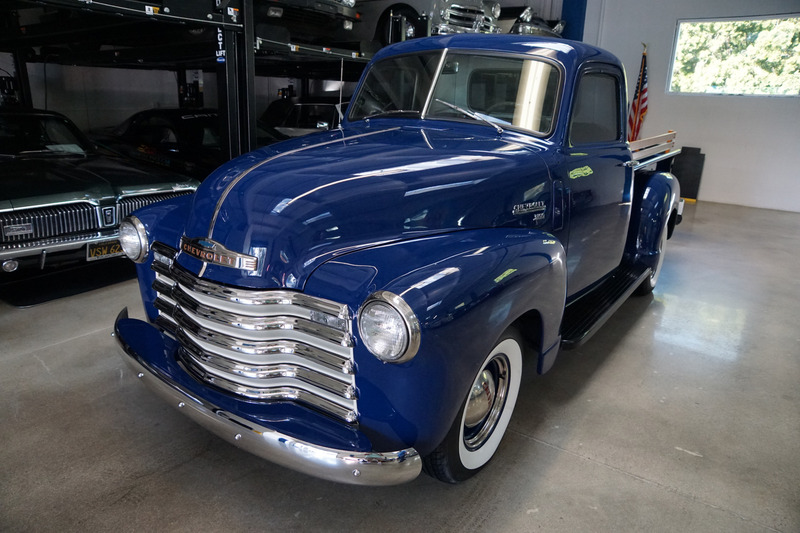 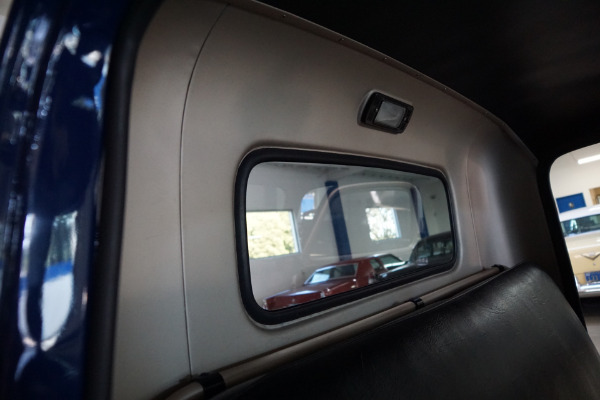 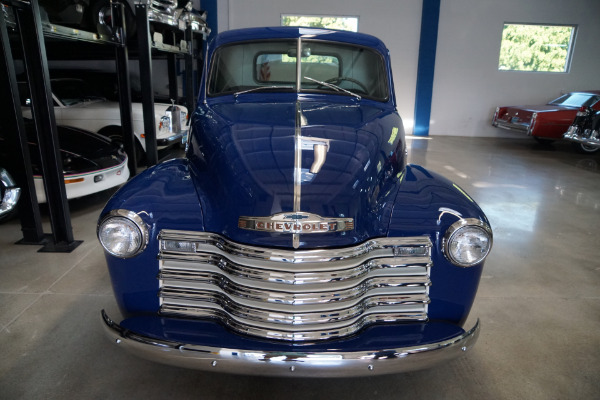 This is a very rare opportunity to own a great daily driving and frame off restored example of a very desirable and collectible all American late 1940's Pick Up ready for any classic American truck, collector or enthusiast to enjoy or collect today!